PARKLAND, Fla. - The father of one of the victims of the Parkland school shooting has filed a wrongful death lawsuit against a school resource officer who resigned amid charges he failed to engage the gunman. Deputy Scot Peterson, who was assigned to the Parkland school, resigned in February after Broward County Sheriff Scott Israel said Peterson did not enter the school while gunman Nikolas Cruz was inside. Through his attorney, Peterson has said he was "no coward" and didn't enter the school building because he wasn't sure from where the gunfire was coming. 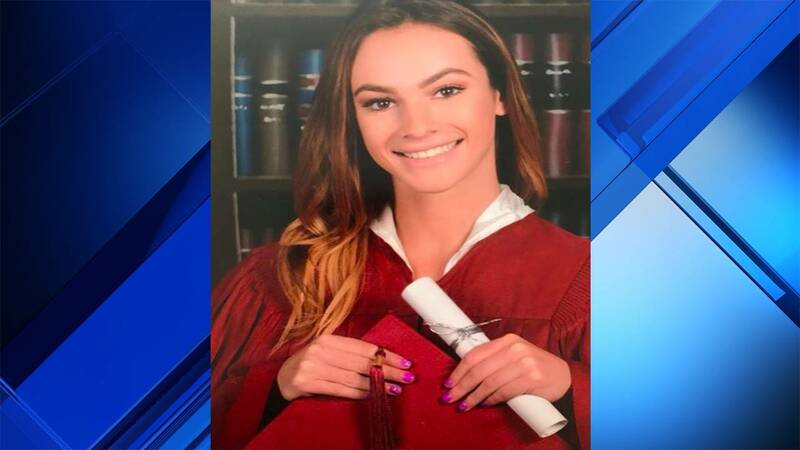 "I want to expose that coward so bad," said Andrew Pollack, whose daughter, Meadow, was one of 17 people killed in the Valentine's Day shooting at Marjory Stoneman Douglas High School. "Wherever he goes, I want people to recognize him and say that's one of the cowards of Broward." Israel has said that when he saw a video showing Peterson taking cover he felt sick to his stomach and said he believed that Peterson should have "went in, addressed the killer, killed the killer." The lawsuit states in graphic detail how Cruz carried out the shooting in the 1200 building of the Stoneman Douglas campus and argues that Peterson could have prevented several deaths that occurred on the third floor if he intervened. Meadow Pollack was killed on the third floor. The lawsuit said Meadow Pollack pulled herself onto another student after she had been shot to protect her classmate, but Cruz fired his weapon again several times, killing both teens. "She crawled and she covered Kara while this guy shielded himself with a concrete wall," Andrew Pollack said. Andrew Pollack said he knows that his daughter would want him to continue "fighting for her and the other victims." "Instead of actually entering Building 12 as he should have, Scot Peterson positioned himself out of harm's way, though within earshot of Nikolas Cruz's carnage," the lawsuit said. Joseph DiRuzzo, Peterson's attorney, has said his client is confident that his actions on that day were appropriate under the circumstances and that the video will exonerate him. "The next police officer that is in a situation like Peterson, they are going to know they are going in," Andrew Pollack said. The Pollack family said there is no money involved in the lawsuit. "My family wants the world to know this is the guy that hid behind a concrete wall while kids and teachers were killed," Hunter Pollack, Meadow's brother said on Twitter. "He's a weasel coward. ... He failed to act, and than lied about it after." Cruz, the estate of his mother Lynda Cruz, James and Kimberly Snead, Henderson Behavioral Health, Jerome Gold Center for Behavioral Health and South County Mental Health Center are also named as parties in the lawsuit. Cruz lived with the Sneads before the shooting, but the couple have said they had no idea Cruz had planned to hurt anyone. The lawsuit said the Sneads allowed Cruz to keep weapons and knew he was a threat. Cruz had received treatment at the listed mental health centers. The lawsuit claims that the mental health center failed to properly assess Cruz. Henderson Behavioral Health advised police in September 2016 that Cruz "was not a risk to harm himself or anyone else," the lawsuit said. Since the shooting, Andrew Pollack has become an outspoken advocate for school safety. Pollack with other Parkland survivors and parents successfully lobbied Gov. Rick Scott and Florida lawmakers to pass school safety measures and new restrictions on gun sales. The new law had a number of provision, including allowing authorities to seize weapons from people with mental health issues and raising the age to buy a semiautomatic rifle from 18 to 21. Andrew Pollack is also member of the Marjory Stoneman Douglas High School Public Safety Commission, which released its first findings last week. "I don't want him just to ride off into the sunset," Andrew Pollack said.